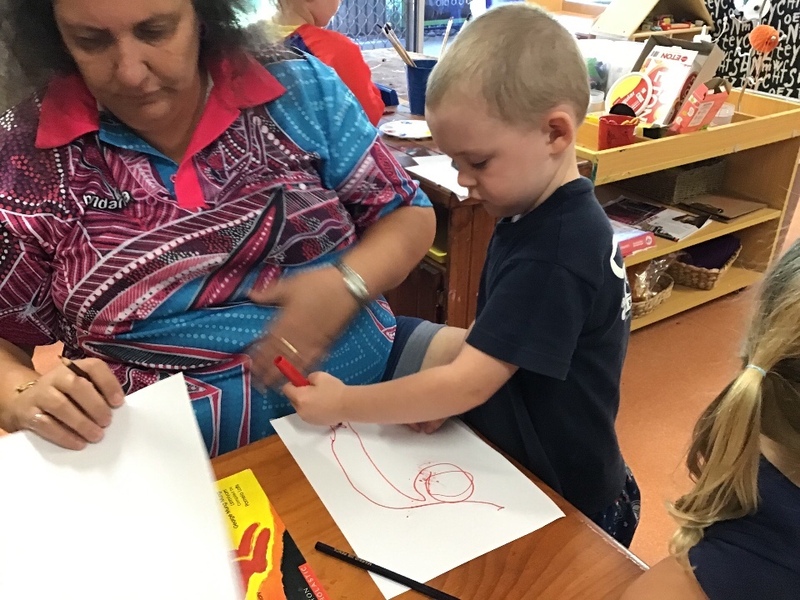 Aunty Michelle from Kilipiynpiyn Workshops has been attending our Greta Tillys for over a year now and the relationships she has formed with the children are beautiful. 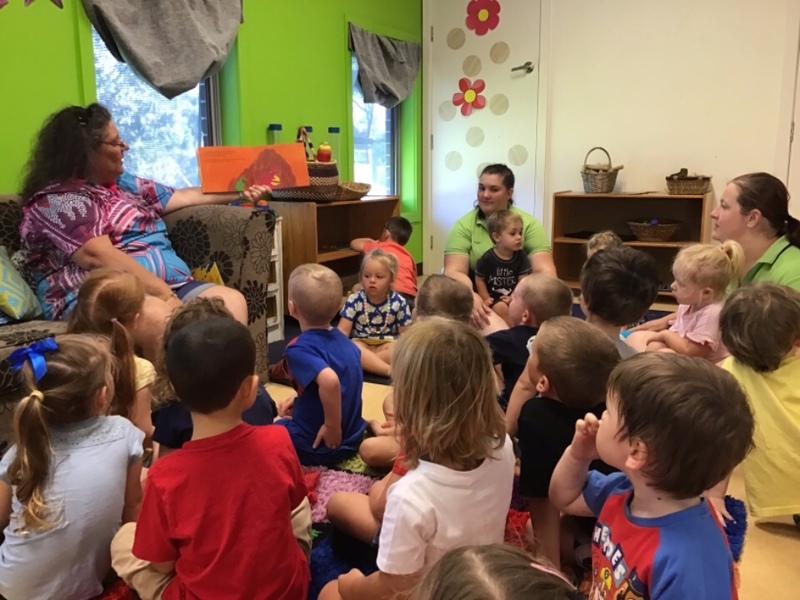 Aunty Michelle has become part of the Tillys family – all of the children get so excited when she arrives, they all go to greet her and then engage in the experiences she has to share for the day. Each day she attends the centre, she begins by visiting the different age groups and spends some time with our school aged children during our Vacation Care program. 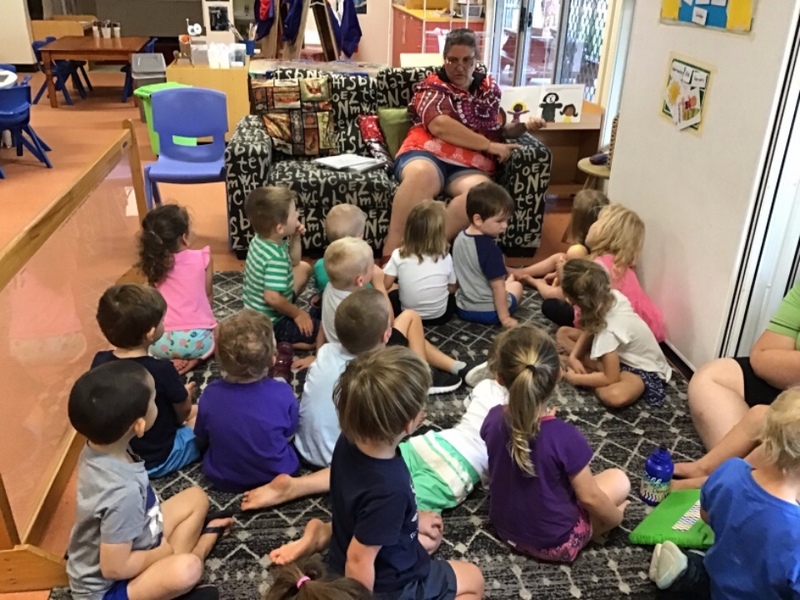 Aunty Michelle has been sharing her culture with the children and educators by telling stories, painting, sharing resources and creating many different things with them. While spending time with us, she also passes on her amazing skills of art to the children by teaching them the correct skills and techniques. The children have also learnt about the symbols used to create stories and are able to create stories using these symbols. The educators are excited to learn basketry off her in the near future which they can then implement into their programs and can share this beautiful artwork and cultural tradition with the children. Aunty Michelle has also been visiting some of our other Tillys centres lately to share her culture and traditions with us all.